England U-21s beat Italy U-21s earlier this evening, and Liverpool’s Dom Solanke was the man with both of the Young Lions’ goals. Solanke opened the scoring with a header from a Ryan Sessegnon cross on seven minutes. He added another on 53 minutes, which proved to be the difference between the sides; the game ended 2-1 to England. 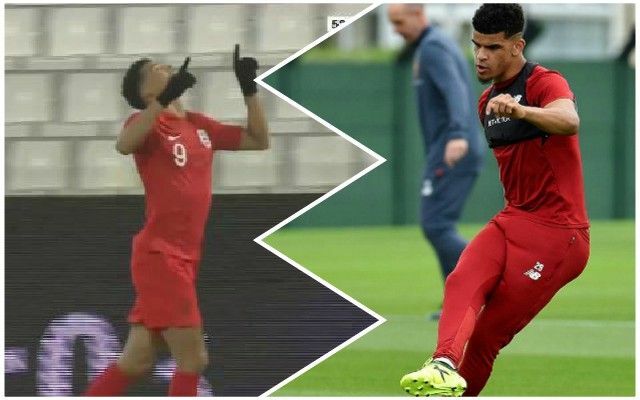 Solanke has been a bit of a forgotten man for the Reds this season, and with Rhian Brewster still to come back, it makes sense for him to go out on loan for the second half of the season. Tonight, though, shows why he is so highly rated at the club. He certainly has an eye for goal.